This North West based Saxophonist performs a wide range of soul, jazz and pop tunes to high quality backing tracks or live piano accompaniment. This provides a classic, sophisticated atmosphere for wedding receptions, parties or corporate events. 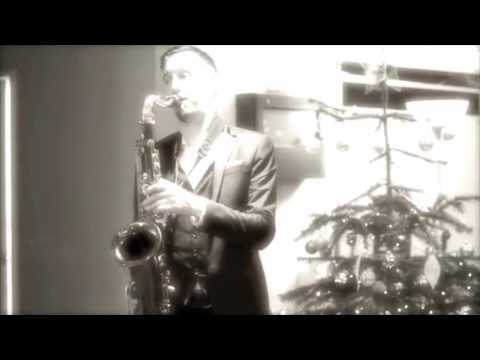 Completely self contained, this experienced professional sax player will add the perfect finishing touch to your event. 2 x 45 minute sets of solo saxophone with backing tracks. I will arrive in good time to be set up, providing a self contained PA system. I will perform range of tunes chosen to fit the style you prefer. This is ideal for drinks receptions. 3 x 45 minute sets of solo saxophone with backing tracks. I will arrive in good time to be set up, providing a self contained PA system. I will perform range of tunes chosen to fit the style you prefer. This is ideal for drinks receptions. A duo of saxophone and piano playing a selection of jazz, soul and pop tunes for 2 x 45 minute sets. The live instrumentation adds a further level of sophistication to your event. We will arrive 30 minutes before our performance and set up a digital piano and small self contained PA system. Choice of tunes will be guided by your preferred style of music. I will perform a tune for the Bride’s entrance, up to three tunes during the signing of the register and a tune for the exit of the bride and groom. These will be chosen on consultation with the couple. I will then move to the reception venue and perform 2 x 45 minute sets of background music for the drinks reception. My PA system can run on battery power so no electricity supply is needed in the church/ceremony venue. I can move very quickly to the reception venue. I will perform a 30 minute set while guests arrive for the ceremony, then perform a tune for the Bride’s entrance, up to three tunes during the signing of the register and a tune for the exit of the bride and groom. These will be chosen on consultation with the couple. I will then move to the reception venue and perform 2 x 45 minute sets of background music for the drinks reception. I perform a wide range of soul, jazz and pop tunes including: Let’s Stay Together, Sunny, Mas Que Nada, Sway, A Million Love Songs, Everything (Michael Buble) Moondance, and Fly me to the Moon.